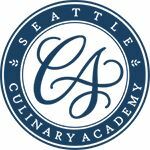 Since 1941, the Seattle Culinary Academy has prepared over 5,000 students for successful culinary careers using a world-wise approach to sustainability, heritage, and health. From our Culinary Arts program to our Specialty Desserts & Breads program, our innovative learning environment integrates organic approaches, natural whole food techniques, and “hands on” training that will take you on an exquisite journey from farm…to table…to fork…and back again. Siobhan Sloan Evans -Starting out with a degree and career in environment science, Siobhan recognized her need for a creative outlet and daily inspiration. She turned to her long-held passion for cooking and began volunteering at The Pantry in Ballard. Learning from the talented chefs at the Pantry fueled a desire for formal culinary education. Several of these professionals recommended Seattle Culinary Academy. Enrolling in the Culinary Arts program has fulfilled Siobhan’s need for creativity and tangible daily results. Siobhan also cooks at Boat Street Kitchen. After graduation, Siobhan will pursue cooking roles in restaurants or other professional kitchens, with the long-term goal of opening her own café or teaching kitchen. 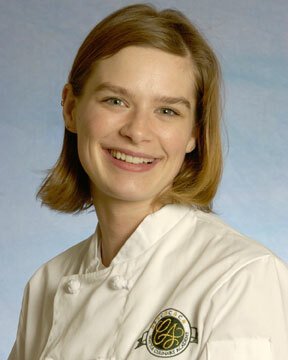 Elizabeth Wachenfeld - Elizabeth is enrolled in the Specialty Breads and Desserts program at Seattle Culinary Academy. Elizabeth has transformed a long-held love of the restaurant industry and 15 years of experience in hospitality service into a focused career path via SCA. Elizabeth is excited about the pastry and baking skills she is developing and is supported by the diverse, spirited, motivated community of students and faculty. 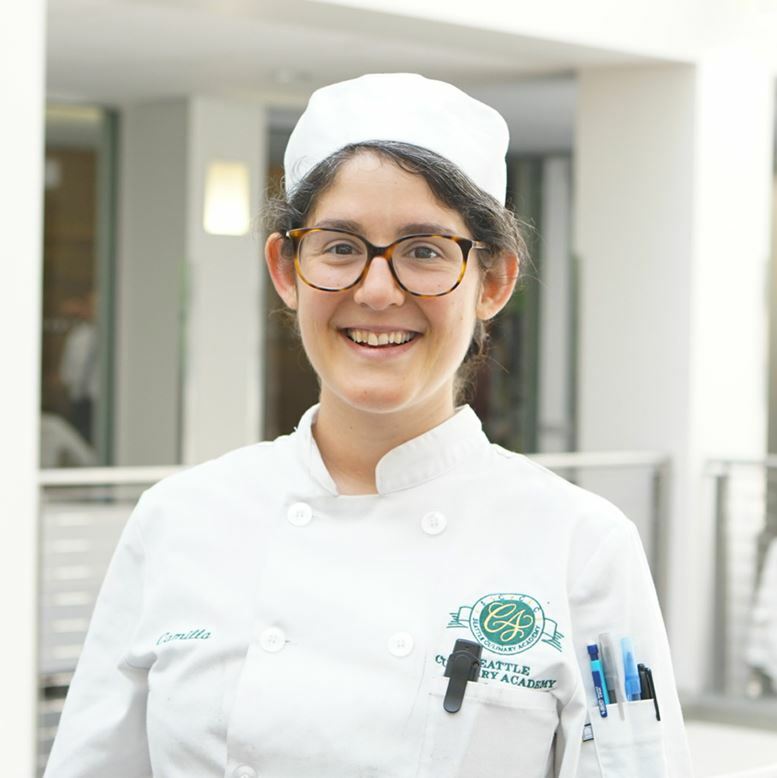 Once she graduates, Elizabeth is looking forward to working in kitchens dedicated to seasonality and sustainability. At the same time, she will start building her own vegan dessert business, with the goal of developing a vegan café. She aspires to give back to the community with accessible food and information on healthy eating. Camilla Guevara - I am a 33 year-old Seattle native attending the Seattle Culinary Academy. I am honored and grateful to receive a Les Dames d'Escoffier Scholarship for 2016-17 school year. Through my 14+ years working with young adults teaching environmental education, I discovered that food is an effective and joyful avenue to connect people with their ecosystems. My experience at SCA will equip me with skills to merge my lifelong passion for cooking with my background in education and outdoor leadership. The program's focus on sustainable kitchen practices and local food systems are invaluable to my future work. Thank you for helping to make my culinary dreams possible! 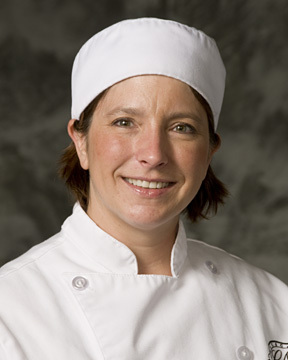 Heather Noon - I am currently going into my fifth and final quarter at Seattle Culinary Academy. This program has been incredible for me. Being born and raised in the Pacific Northwest, I have thoroughly enjoyed learning about the seasonality and locality of all the great ingredients we have at our fingertips. I am looking forward to graduating this December and moving forward in my career. I am very interested in going into the catering world, as I work front of house for a catering company out of Woodinville currently. I worked briefly on the line at a local restaurant and loved every second of it. There is something to be said about the adrenaline of a dinner rush that you can't get anywhere else. I can't wait to see what my future holds in the industry and feel very fortunate to have the opportunity to be a part of The Les Dames community. Thank you. University of Washington in 2012 with a focus in history and social work, and spent several years organizing middle and high schoolers around social justice issues before moving into professional kitchens. Jude is currently a brunch and pantry cook at Brunswick & Hunt, and is excited to continue learning about seasonal produce and butchery at SCA. Angela Ortez-Davis - has spent most of her life thinking of her next meal. She grew up in Los Angeles, where she enjoyed helping her mother with her small catering business. While she loved cooking and talking about food, she never saw it as a possible career path. Angela graduated in 2008 from Seattle University with a Bachelor’s Degree in Political Science, focused on Latin American Studies and Social Justice. 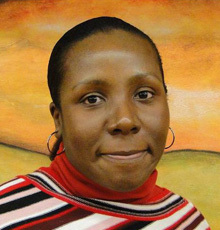 For most of her adult life, Angela worked for various non-profit and community organizations on labor rights and workforce development projects. Two years ago, Angela decided to try her hand at cooking professionally at a neighborhood restaurant and has been elated ever since. Angela is getting ready to begin her second quarter at Seattle Culinary Academy after spending the summer working the pantry station at Mamnoon Restaurant on Capitol Hill. Over the next two years, she looks forward to successfully completing culinary school while learning as much as she can by working in Seattle kitchens. After graduation, she hopes to find a way to combine her past community work experience with her knowledge of food. Eventually, she hopes to open a small food business that follows sustainable work practices to build community while employing people at living wage. 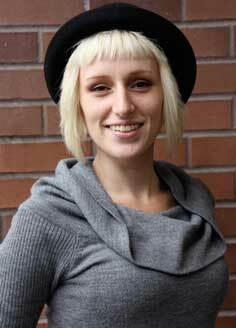 She would welcome any guidance or mentorship related to sustainable food business models and community engagement. Hannah (Loli) Cochran - My name is Hannah Cochran, and I am a 5th quarter student at Seattle Culinary Academy. I am looking forward to graduating next spring, and currently enjoy volunteering with the One Night Only Project, a pop-up supper club that is co-owned by a previous graduate. I have also volunteered at banquets for Skagitonians to Preserve Farmland, Les Dames d’ Escoffier, and Mainstay. In the future I hope to start a small urban farm in Tukwila that would focus on teaching school children in the neighborhood how to grow their own food. I’m really excited to be a recipient of the Les Dames Scholarship, and to meet other women with experience in non-profits, education, small business and farming. Serene Cook: I feel incredibly fortunate that I have received the financial support to help me experience and fulfill my dreams of becoming a Chef and exploring the professional world of Culinary Arts. When I finish school I would love to be part of a catering team and also have dreams of visiting different cultures to experience, learn and possibly one day teach different cooking techniques from different cultures. Thank You, Les Dames! Elizabeth Robblee: Betsy Robblee spent six years in Washington DC as a policy advisor in the US Congress before moving back home to Seattle to pursue her passion for food and cooking. She is currently in her third quarter at Seattle Culinary Academy and works part time at Cafe Flora. Betsy is exploring several potential culinary careers, including food policy, food writing, private chef work, and nonprofit/advocacy work relating to sustainability. Jowanna Pritchet: Jowanna Pritchett is one of our 2011 Seattle Central Community College scholarship recipients, a mother of four in her third quarter studying baking and pastry arts. She would like to get a job at a small bakery after graduating, and likes to bake pastries and bread, but predicts that cakes will overtake those interests as she learns more. Andrea Flowers: A former Urban Designer, Ande Flower is now in training to become a knowledgeable menu designer and eventually Chef via an incredible group of Chef Instructors at the Seattle Culinary Academy. Cooking is a great passion of hers. She loves being immersed and challenged with discovering the full spectrum of knowledge necessary to be successful in a kitchen. The tight-knit group of peers she’s gotten to know now that she’s halfway through the program are integral to dreams for shaping Seattle’s food culture into the future. She has recently been promoted from pantry chef to the "hot-side" of the kitchen at Nettletown with Chef Choi. She’s worked there for the past nine months and continues to be inspired with her intuition and talent when it comes to marrying flavors and using foraged ingredients. She’s begun investigating how she might have a role in the upcoming Farm Bill, and she’s planned to catch a talk by Ruth Reichl at an intimate engagement over spring break when she’ll be visiting family in California. Beth Mattiessen: Prior to attending culinary school at the Seattle Culinary Academy, Mary had successful careers in theater production and arts administration. But she realized she was pushing paper and no longer creating art. So she followed her love of baking to culinary school, where she became the fourth person in the history of the Specialty Desserts and Breads program to earn a perfect score on the final project. During this time, she attended a wood-fired oven bread baking class at Quillisascut Farm School, where she met the owner of the Columbia City Bakery. Shortly after, Mary was hired full time and soon became the afternoon lead in the bread department. After a year and a half of mixing, shaping and baking bread, Mary was able to switch her focus, and now works full time in the pastry department, still at Columbia City Bakery. She’s grateful to Les Dames for the ability to complete her education and looks forward to pursuing pastry and culinary arts well into the future. Lisa Kowalczik: Lisa is working on a new culinary career after having been a stay at home mom for the past 18 years. Her prior years in retail sales helped her to develop excellent communication and people skills. Lisa is eager to finish school and stay her new career. Amanda Merkle: After graduating from the SCA culinary program in the spring of 2003 Amanda traveled to the Loire Valley to work with chef Dame Sally McArthur at her culinary school, Through the Kitchen Door. Since returning to Seattle Amanda has worked at Kaspar’s (co-owned by Dame Nancy Donier) and has continued to work with Sally McArthur, most recently in a consulting capacity in Washington D.C. Amanda will complete the Specialty Breads and Desserts program at SCA in March 2007. She plans to continue pastry work at Kaspar’s and looks forward to a summer of harvesting and working with fresh produce from the Doniers’ farm near Mt. Baker. Melissa Peterman: Melissa graduated from Western Washington University with a degree in journalism before enrolling at Seattle Culinary Academy. 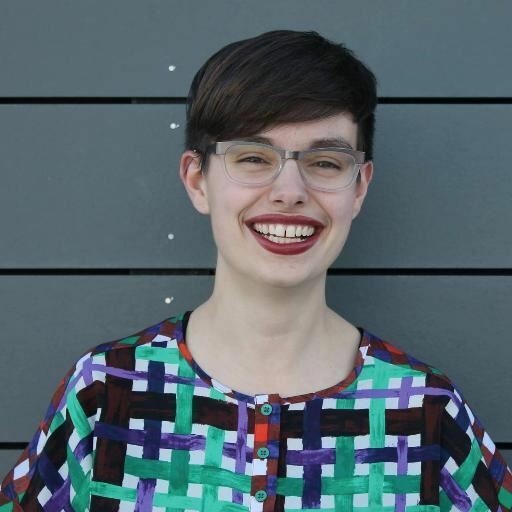 In addition to being awarded a scholarship from Les Dames Seattle last fall, she also won a scholarship for food writing last year from Seattle Central Community College. Melissa has worked as a cook at The Ruins and Coco la ti da, and currently she is working for Tom Douglas Catering. Melissa also works with Dame Cynthia Nims as an assistant for recipe testing and other projects. Ann Shaughnessy: Ann shifted gears from financial planning to cuisine when she decided to attend Seattle Culinary Academy. 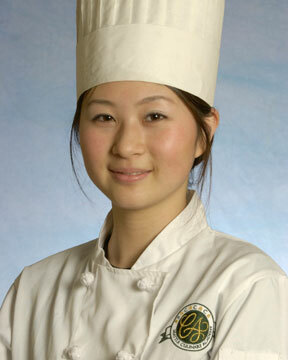 She was a top student in the specialty dessert and bread program at SCA, from which she graduated in fall of 2006. She is currently serving as pastry chef and bakery manager for Trophy Cupcakes in Wallingford. Her goal is to use the foundation of skills she gained at school to create noteworthy pastries (particularly her favorite, cupcakes) that will help satisfy Seattle's sweet tooth. Maureen Stockman: After spending over 20 years working in the world of photography, Maureen was given the opportunity to follow her life-long passion for food at Seattle Culinary Academy. During her schooling, she worked with and studied under some of the best- known chefs in the Seattle area including Kaspar Donier, Lisa Dupar, Leslie Mackie and Kären Jurgensen. She also has applied her culinary training to, and honed her skills at, numerous volunteer opportunities throughout the city. She hopes to continue to develop her skills and her palate by working in the catering arena, in addition to teaching basic cooking skills in private settings. Kelly Leek: After 19 years, Kelly is retiring from the floral business, which was her job prior to going to culinary school and helped put her through culinary school, and will devote herself full time to the culinary industry. In May of 2006, Kelly started working part time in the catering department for The Ruins. She also traveled to Tuscany, Italy in the fall of 2006 as Dame Beverly Gruber of the Everyday Gourmet’s travel assistant. Kelly is now working as a “Culinary Artist” for Metropolitan Market. Update 8/21/2015: I am currently employed by Flying Food Group, based in Seattle. I am a PD chef (product and development) my customer is a very large international coffee company. Since graduating SCA I have worked as R&D sous chef, caterer, food truck chef, culinary supervisor, worked with several area catering companies and now PD Chef. Kristin Schmacher: Kristen has donated much of her personal free time to causes in Seattle ranging from the Young Professionals Alzheimer’s Association, Seattle Culinary Academy’s Harvest Dinners in 2004 & 2005, the Student Scholarship Dinner 2005, Taste of the Nation 2005, Taste of Washington 2005, SCA Evening cooking classes, Farestart, and the Les Dames d’ Escoffier Fundraiser 2005. She also is a member of Women Chefs & Restaurateurs and The Seattle Chapter of Chef’s Collaborative. She recently held the title as coordinator for the Seattle’s 2nd Annual Farmer-Chef Connection on February 5th, 2007. This event facilitated direct marketing between Washington State farmers and artesian producers with chefs, caterers and retail businesses. Currently she is sitting on the Cascade Harvest Coalition planning board for Food Lust 2007 event in June. Ana Sainz: Ana is an Industrial Engineer from Mexico City, where she worked as a financial analyst before switching to a career in food. After graduating with honors in December 2005, Ana continued as an intern at The Rainier Club before becoming part of the catering staff in July 2006. In August of the same year Ana and a Pastry Chef from Venezuela started a cooking class program at Mixtura (a Peruvian restaurant in Kirkland). Janie Stuth-Wetherbee: From Redmond, WA has been awarded the Seattle chapter's $2000 endowed scholarship for the 2004-05 academic year at the Seattle Culinary Academy, located at Seattle Central Community College. She is the second student to receive the coveted Les Dames Endowment which was established at the school in 2002 with a $37,000 donation from the chapter. Akane Takahashi: In addition to the scholarship, which is designated for a Washington State resident, the chapter awarded a $750 International Grant to Akane Takahashi, a second quarter Culinary Arts student who hails from Hiroshima, Japan. Her goads include learning things she is unable to learn in Japan, exploring new culinary arts fields, and eventually opening her own restaurant.